Looking to lighten the mood? Take a look at this week's lineup of comedies showing on the big screen in and around New York City. Here are the top-ranked comedy films to catch in theaters, based on review aggregator Rotten Tomatoes' Tomatometer Score, which reflects the opinions of hundreds of film and television critics. With a Tomatometer Score of 97 percent onRotten Tomatoes, "Spider-Man: Into the Spider-Verse" has been a must-watch since its release in December of 2018. "The latest entry in a fully saturated genre that somehow, through sheer creative gumption, does something new," according to David Sims of the Atlantic, while Tribune News Service's Katie Walsh said, "The delights of 'Spider-Man: Into the Spider-Verse' bring a newfound sense of joy and playfulness to the beloved character." The film is nominated for an Oscar for Best Animated Feature. Catch it on the big screen at AMC Bay Plaza Cinema 13 (2210 Bartow Ave.), Regal E-Walk Stadium 13 & RPX (247 W. 42nd St.), College Point Multiplex Cinemas (2855 Ulmer St.) and AMC Magic Johnson Harlem 9 (2309 Frederick Douglass Blvd.) through Wednesday, Feb. 20. Click here for showtimes and tickets. It's playing at Cinepolis Chelsea (260 W. 23rd St.) through Saturday, Feb. 16. Click here for showtimes and tickets. With a Tomatometer Score of 71 percent and an Audience Score of 69 percent on Rotten Tomatoes, this 1984 release is a worthy candidate for your entertainment. 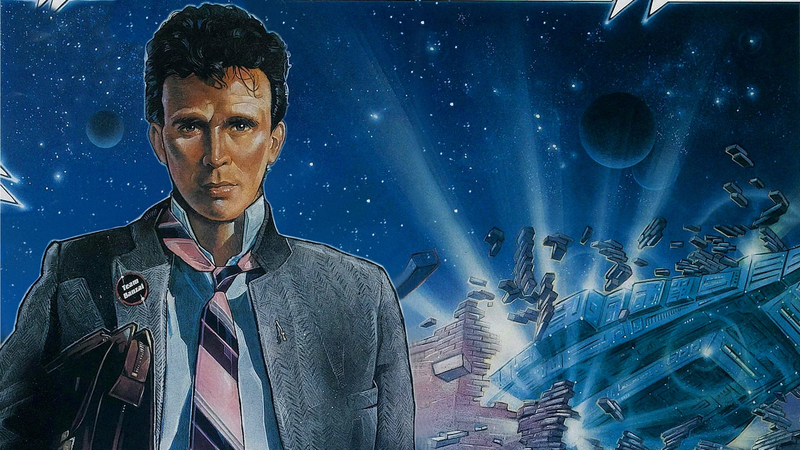 TIME Magazine's Richard Corliss said, "A state-of-the-art spaceship flying at the speed of light without narrative coordinates, 'Buckaroo Banzai' is the very oddest good movie in many a full moon," and Time Out's Geoff Andrew said, "Director W. D. Richter's comic genre hybrid comes complete with its own mythology, and team of established superheroes, and is curiously appealing." Get a piece of the action at Quad Cinema (34 W. 13th St.) on Tuesday, Feb. 19. Click here for showtimes and tickets. A couple's marital troubles are put on hold while they host an unhappy reunion of former college pals gathered for the funeral of one of their own, a suicide victim named Alex. As the weekend unfolds, the friends catch up with each other, play the music of their youth, reminisce, smoke marijuana, and pair off with each other. With a Tomatometer Score of 66 percent and an Audience Score of 77 percent on Rotten Tomatoes, this 1980s classic has proven potential. Entertainment Weekly's Lisa Schwarzbaum said, "An irresistibly satisfying cultural artifact," while Richard Corliss of TIME Magazine said, "Funny and ferociously smart." You can catch it at Quad Cinema (34 W. 13th St.) on Saturday, Feb. 16. Click here for showtimes and tickets.